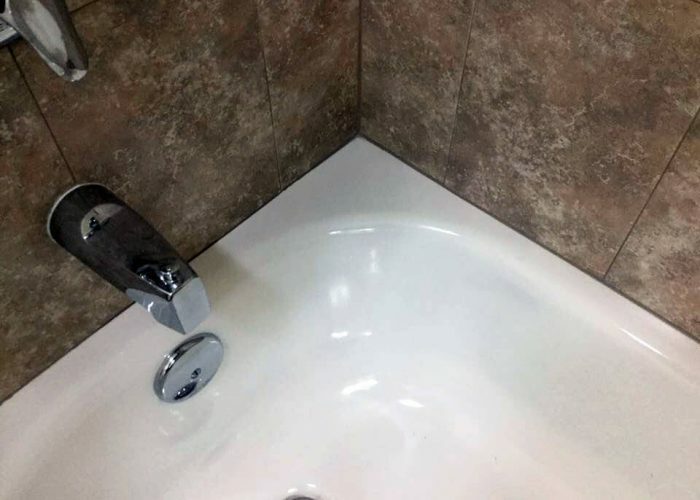 Whether you have a steel enamel, porcelain, fiberglass or acrylic tub, we can repair it for you. 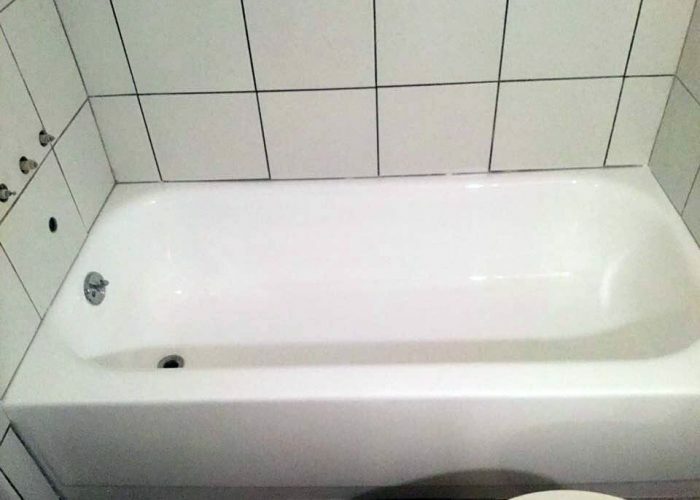 Unattractive, dirty tiles? We can take care of it. 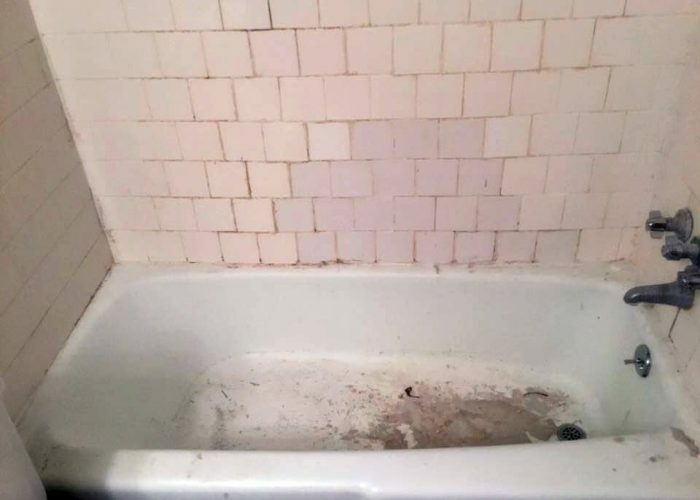 This tub got the complete makeover: new ceramic tile siding, annoying chips repaired, grout removal, and sealed surfaces. What a difference Tubz Plus can make! Annoying chips? Not an issue for us. This tub had a serious chip in the side. In just a few hours, we were able to repair the chip and completely clean up the surface! 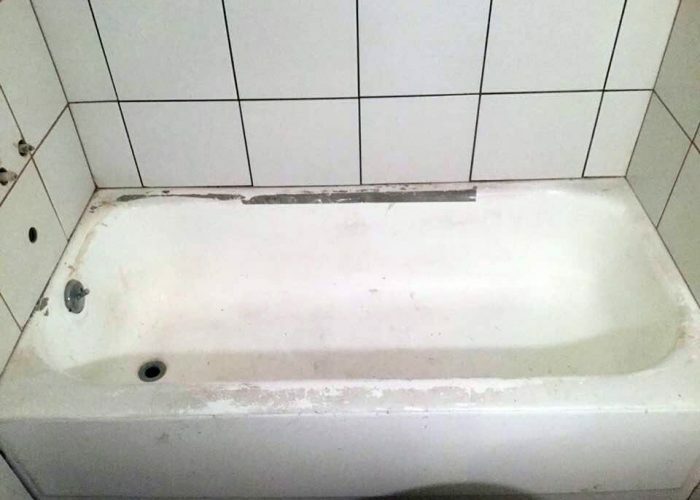 Cracked tub? Let us fix it for you! 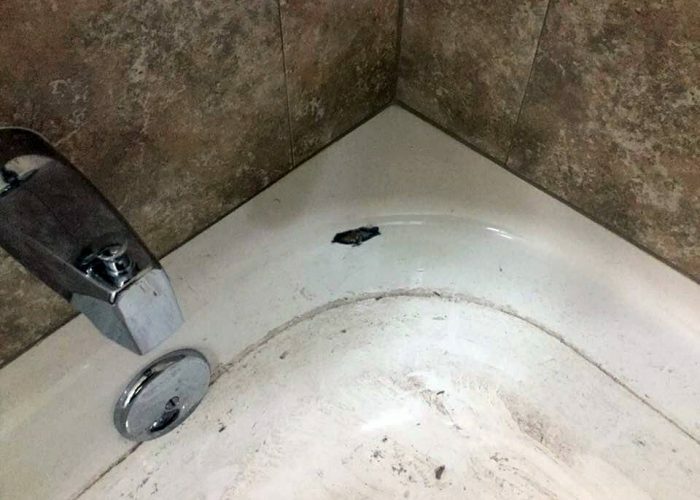 This client had a crack that extended through more than 50% of the tub. 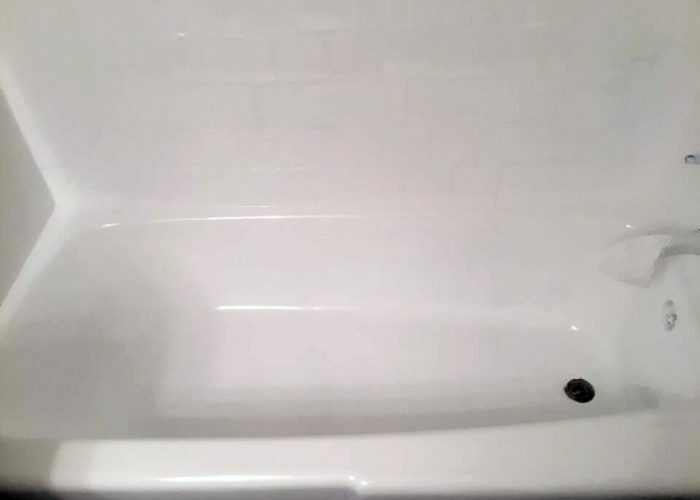 After stabilizing the tub for protection, we repaired the crack and scrubbed away the unsightly grime.